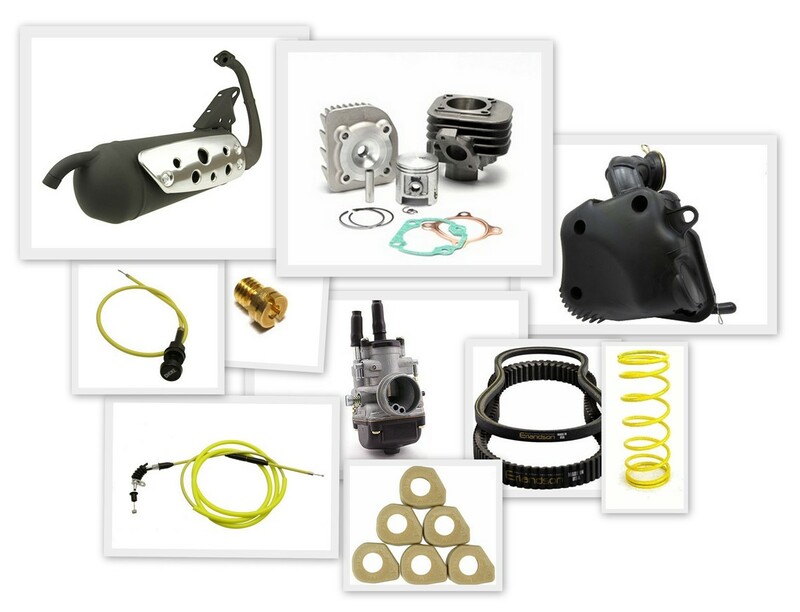 With a 70cc iron cylinder kit with two ring piston offers a sound cylinder that will stay cool for street use...match this kit with a Silent Pro Exhaust from Tecnigas with a 19mm carb upgrade with low noise air box (70CC). An upgarde of weights to Dr Pulley Sliders weight, quality belt and a 1500RPM torque spring for bottom end. 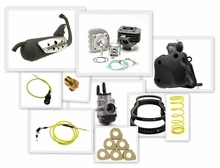 Easy install with remove and replace cables and gaskets are included, carb is jetted. Results..easily get 45-50 for riding in traffic with top speeds of 55. Recovery time when slowing down to back to top speed is smooth and effortless. Hill climb will maintain safe speed as well take off from lights.